What is UUM Registrar's Department? The Registrar's Department is the main heart for the administration of Universiti Utara Malaysia. Since 1984, the Registrar Department has grown in line with the development of Universiti Utara Malaysia.The Department's goal is to serve as a human resource management center and information resource management center as well as efficient administrative management, in line with customer needs. 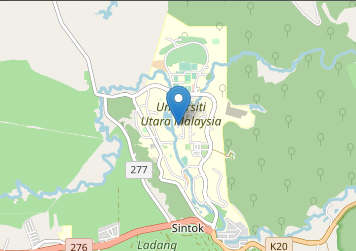 Where is the UUM Registrar's Department? How to Contact Registrar Department?